You will hear the phrase chartered surveyor a lot among the property community, don’t be fooled into thinking that this is simply referring to a valuer. Chartered surveyor is a term that is used to describe a number of jobs and careers in the property market. One of the most common type of surveyors is a quantity surveyor, this type of surveyor estimates how much a building project may cost, they carry out a complete analysis of labour, materials, and any future costs. Quantity surveyors will also have regular meetings with architects and engineers to discuss the case. If you have more of a flare for marketing then you may wish to consider a career as a general practice surveyor, where you would be responsible for not only valuing, but the marketing of the property. 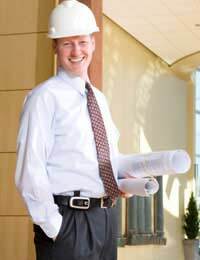 Normally general surveyors would have experience in construction, and planning law. Building surveyors, are sometimes seen as the less glamorous surveyors, they are responsible for valuing existing properties, and often advise owners how best to save money and renovate the building to be the most cost effective. Every firm will ask for a different types of professional qualifications, so it is worth checking with them first as to what qualifications you will need. It goes without saying, that the minimum you will require is some form of GCSEs, essentially English and Math, grades A-C, you may also want to look at getting a BTEC National Certificate/Diploma in Surveying, or a BTEC Higher National Certificate/Diploma in Surveying. Most courses will also require you to do some kind of work placement, whether this be voluntary or paid, it doesn’t matter, what is important is that you show interest in the property career that you are opting for.If you go onto degree level, your course will need to have a course that is accredited by the Royal Institution of Chartered surveyors. These will be your stating points, there is a lot more training that may be necessary before you reach the position of being able to call yourself chartered.Just because you do the course, it doesn’t necessarily mean that you will come out of the other end with the qualification. It is tough work getting chartered and not something that is awarded easily, so it is important to put the work in. Training for a career as a chartered surveyor can be very rewarding, but you will need to make sure you are the type of person that doesn’t mind a few years of training, before you achieve results. Chartered surveyors are regarded as professionals, and in some instances on a par with those that work in the law, so it is not surprising that you need professional qualifications, don’t be put off though, as it will be worth it in the end. I leave in Cameroon, Africa and it is a growing society that is infrastructurally speaking.I have a BSc in environmetal sciences and work with the government,but i also want to go into private practice,in quantity surveying or architectural techology so as to contribute significantly in building my society.What step can I take to undertake such training while in Africa? I am a franchisee in estate agency and would like to become a general practice surveyor or a building surveyor to supplement the services we offer. I have a non related degree in Business and a technical award from the NAEA. What would be my next steps? I currently work within the pipefitting, plumbing industry and fancy a change of career.